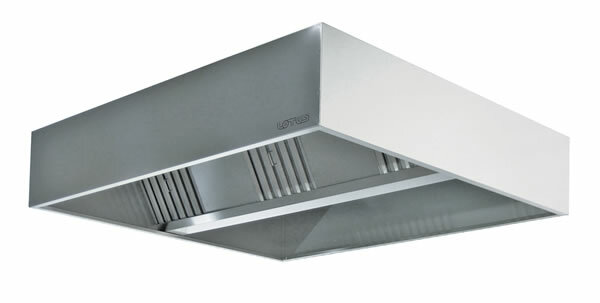 Lotus - PIZZA / ELECTRIC PIZZA OVENS "F"
PIZZA / ELECTRIC PIZZA OVENS "F"
Electric PIZZA OVEN, cooking surface in refractory stone, independent mechanical thermostats for both oven top and bedplate 50÷500 °C, 1 chamber cm. 72x72x14h with capacity 4 pizzas Ø30cm. 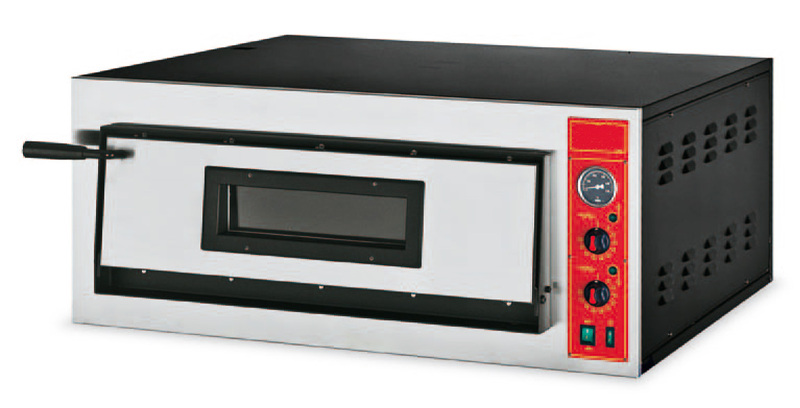 Electric PIZZA OVEN, cooking surface in refractory stone, independent mechanical thermostats for both oven top and bedplate 50÷500 °C, 1 chamber cm. 72x108x14h with capacity 6 pizzas Ø30cm. 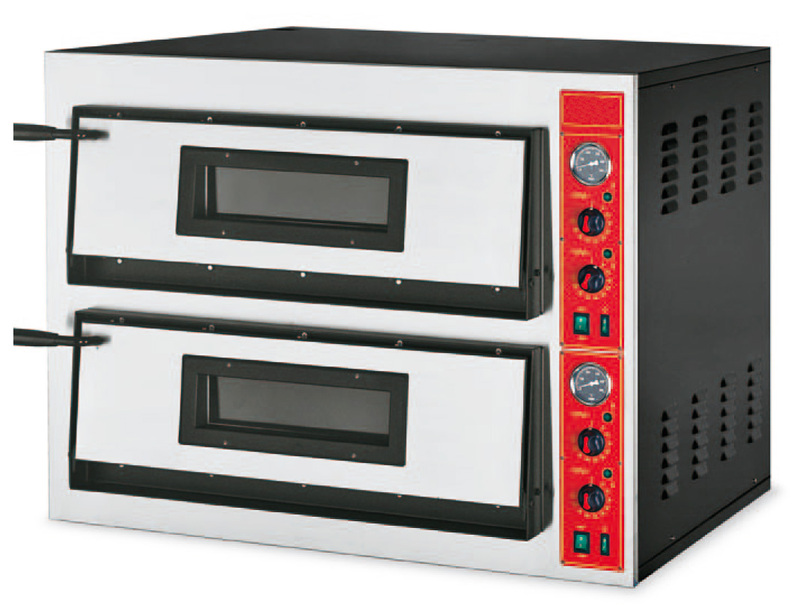 Electric PIZZA OVEN, cooking surface in refractory stone, independent mechanical thermostats for both oven top and bedplate 50÷500 °C, 1 chamber cm. 108x72x14h with capacity 6 pizzas Ø30cm. 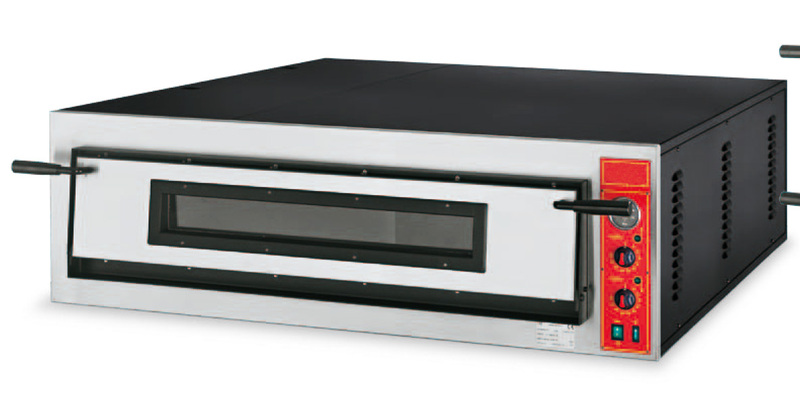 Electric PIZZA OVEN, cooking surface in refractory stone, independent mechanical thermostats for both oven top and bedplate 50÷500 °C, 1 chamber cm. 108x108x14h with capacity 9 pizzas Ø30cm. 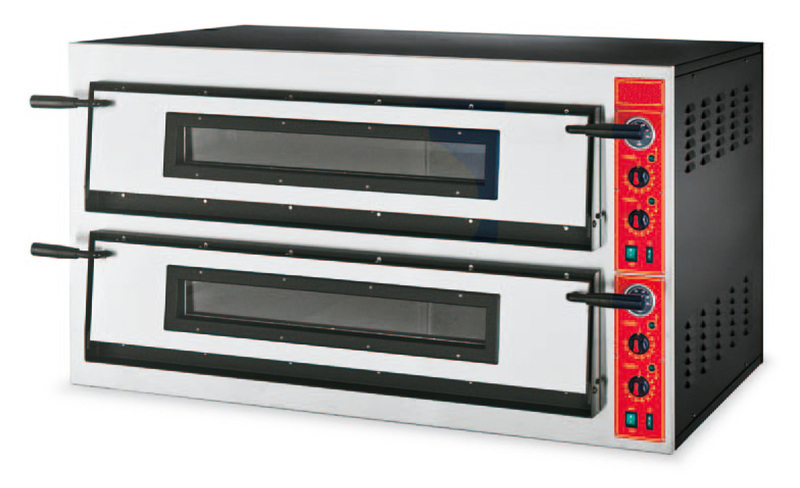 Electric PIZZA OVEN, cooking surface in refractory stone, independent mechanical thermostats for both oven top and bedplate 50÷500 °C, 2 chambers cm. 72x72x14h with capacity 4+4 pizzas Ø30cm. 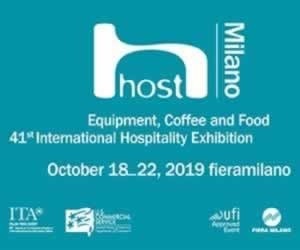 Electric PIZZA OVEN, cooking surface in refractory stone, independent mechanical thermostats for both oven top and bedplate 50÷500 °C, 2 chambers cm. 72x108x14h with capacity 6+6 pizzas Ø30cm. 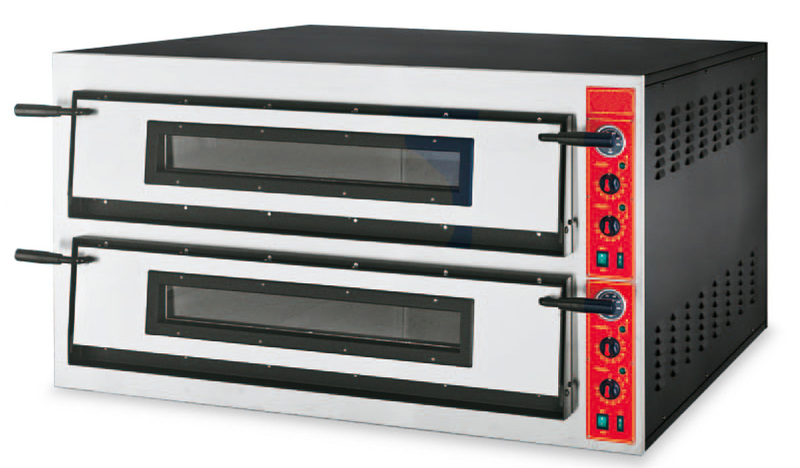 Electric PIZZA OVEN, cooking surface in refractory stone, independent mechanical thermostats for both oven top and bedplate 50÷500 °C, 2 chambers cm. 108x72x14h with capacity 6+6 pizzas Ø30cm. 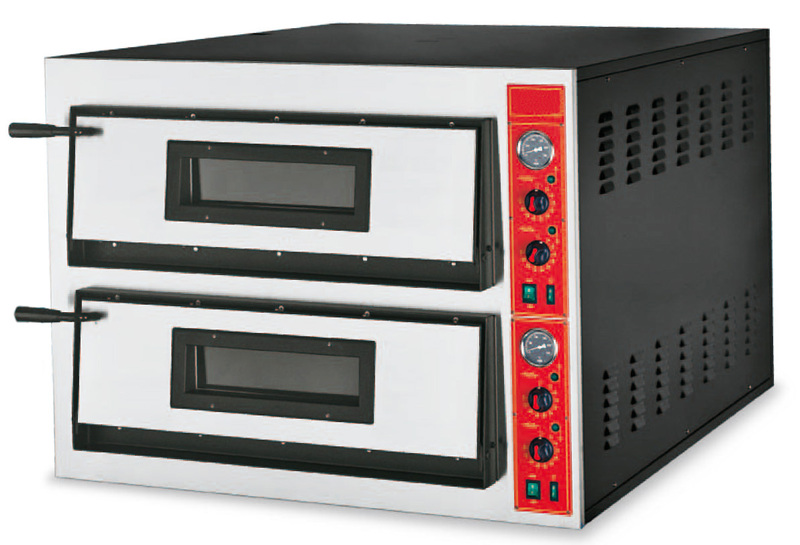 Electric PIZZA OVEN, cooking surface in refractory stone, independent mechanical thermostats for both oven top and bedplate 50÷500 °C, 21 chambers cm. 108x108x14h with capacity 9+9 pizzas Ø30cm.